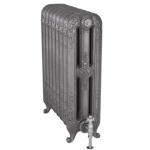 We have been selling Carron cast iron radiators for over 10 years and are very experienced and are always available to offer advice. We build radiators by the section to give you the length required or the heat output you need. Period House Store are nationwide accredited Carron distributors. You will be assured of receiving first class service from a long established company that is so much more than an internet retailer. 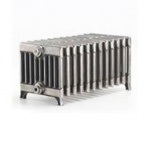 All Carron reproduction cast iron radiators are pressure tested to 10 bar and come with a lifetime guarantee. Carron's radiators are assembled and finished by hand in their UK factory, after passing through their purpose built paint and polishing workshop. All radiators go through a rigorous testing procedure before they are given a final inspection and a quality control stamp of approval and prepared for dispatch. 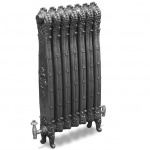 We deliver our traditional cast iron radiators all over the UK, to London daily and worldwide. We keep our prices as competitive as we can, however we will price match any like for like quote on Carron Radiators and you will benefit from our excellent customer service. 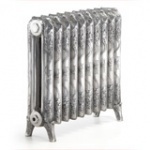 Our best selling Victorian radiators available in 5 heights. A perfect radiator for hallways where space is limited. 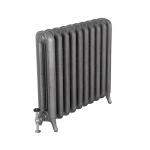 The Victorian 6 Column Radiator has a generous heat output, available in 3 heights. A perfect Cast Iron Radiator for low windows makes a lovely warm seat! 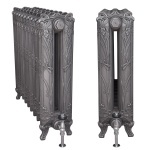 A unique design, The Cromwell is based on the Princess Cast Iron Radiator. The Duchess radiators are a classic design which work in many settings. A firm favourite. 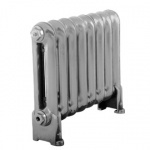 A twist on the Vic 9 Cast Iron Radiators, with a curved top, perfect where height is an issue. A timeless design, The Peerless is similar to the Duchess with slightly different feet. 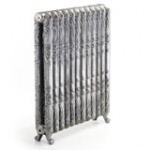 Another very popular cast iron radiator, the Princess in elegant and available in 3 heights. If simplicity is what you are looking for the Eton radiator is for you, available in 3 heights. A slimmer version to its big brother, The Narrow Eton is perfect where space is tight. 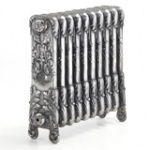 If your looking for classic cast iron radiators with on ornate twist, the daisy works very well, available in 3 heights. 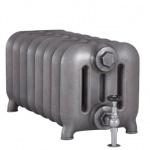 A french Classic design The Verona radiator is extremely versatile available in 3 heights. 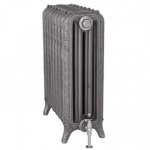 The Deco Cast Iron Radiators are an art deco design which are also sleek at an affordable price. A design on its own, The Ribbon 4 Collumn cast iron radiator is a real statement peice in the right setting. If you are looking for ornate, The Antoinette is for you, widely used by designers for an impact statement. The Chelsea cast iron radiator was taken off an original from Chelsea Barracks, stunning design. 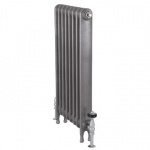 An almost Industrial Design The Carron Churchill Radiator offers a unique look with high outputs. One on its own, The Dragonfly is one of Carron Radiators decorative collection. Another Art Nouveau design The Liberty Cast Iron Radiators are a classic choice for this period, but blend into other schemes. 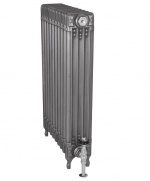 An Art Nouveau classic, The Carron Orleans Radiator standing at almost a metre tall, an impressive statement. The Ornate Cast Iron Radiators, its all in the detail, a truley unique design. Another great ornate design from Carron available in 3 heights. 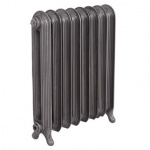 A classic French design design, The Rococo 2 Column radiator works well in most interiors. 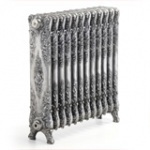 A space saving ornate design and works well with the Rococo 2 column cast iron radiators. 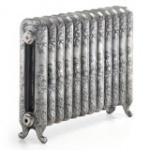 Carron Cast Iron Radiators Ornate Collection has recently expanded to include the fantastic Tuscany. The Turin is another recent addition from Carron, perfect for an elegant look where height is restricted. An intricate design which also stands tall, part of Carron's Ornate Collection. 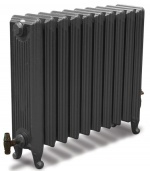 The Thistle Cast Iron Radiators were taken from an original from Edinburgh, perfect for large town houses. Features uniquely inward scroll feet, a really different radiator. Based on an Anglo-American design, the John King cast iron radiators are the newest addition to the Carron Ornate Collection. 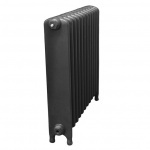 The newest addition to the Carron Cast Iron Radiator collection. The new Electrical Heating Elements for our Carron Cast Iron Radiator Collection. 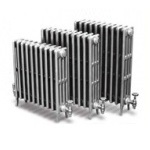 An easy to use feature to calculate which size cast iron radiators you need. See our Victorian Cast Iron Radiators featured on BBC DIY SOS.